Puri is a popular city in the Indian State of Odisha and is a lovely place to be in. Not only there are some amazing shopping markets in Puri, but there are a lot of popular tourist attractions in Puri and nearby. Usually on the weekends people either love to hang out for shopping or they look out for Water Parks in Puri. As it is a small place, there is only one water park in Puri. Summers in Puri are quite harsh and to beat the summers visiting a Water Park in Puri is definitely the best choice. Today, we will tell you all about the best water park in Puri. Let’s get started ! Pratyush Ocean World in Puri is situated on the Batamangala New Bay Pass Road. If you want to enjoy a day full of fun and thrill, you must not miss out on Pratyush Ocean World Water Park in Puri. Along with a variety of water and and dry rides, this water park of Puri has a lot to offer to every visitor. 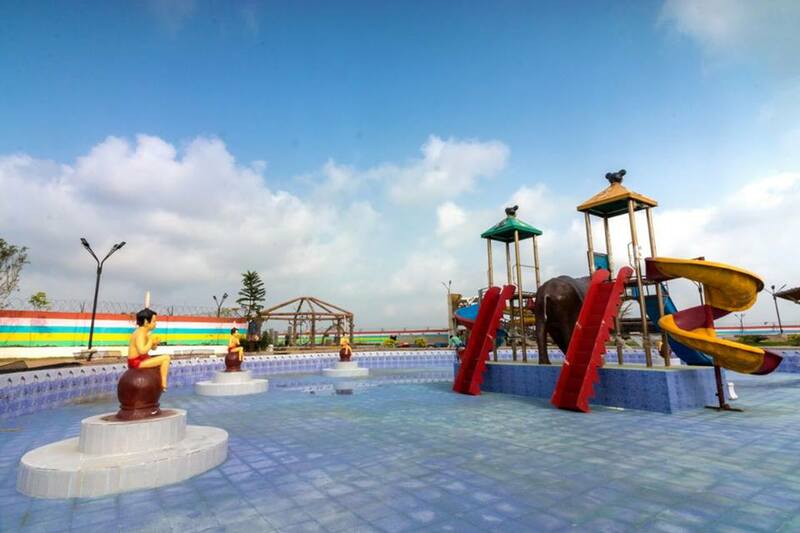 This water park in Puri is caters visitors of all age groups including the kids, adults and Sr. Citizens. Food lovers also get a number of options to choose from, at this water and amusement park of Puri. Visitors can opt to eat from a large variety of snacks and beverages. Not only does this amusement and water park provides its guests with a number of thrilling rides, but this water park at Puri is also popular for arranging various kinds of events, marriages, business meetings etc. So, this theme water park of Puri offers a fantastic mixture of entertainment and adventure along with the great facility to host a perfect event of your choice. If you are in Puri by any chance, you should definitely visit this water park of Puri. This is our list of Top Water Park in Puri. Have a Good Time !